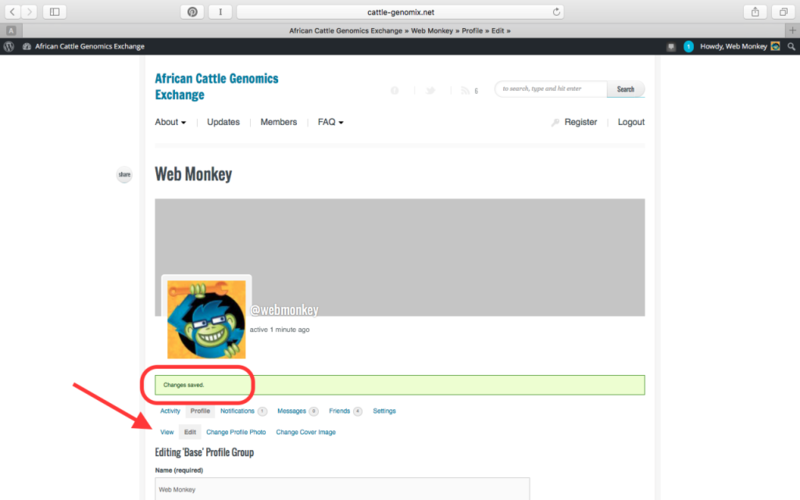 African Cattle Genomics Exchange » » How do I edit my profile? You have a profile on this site. It was created for you on registration. 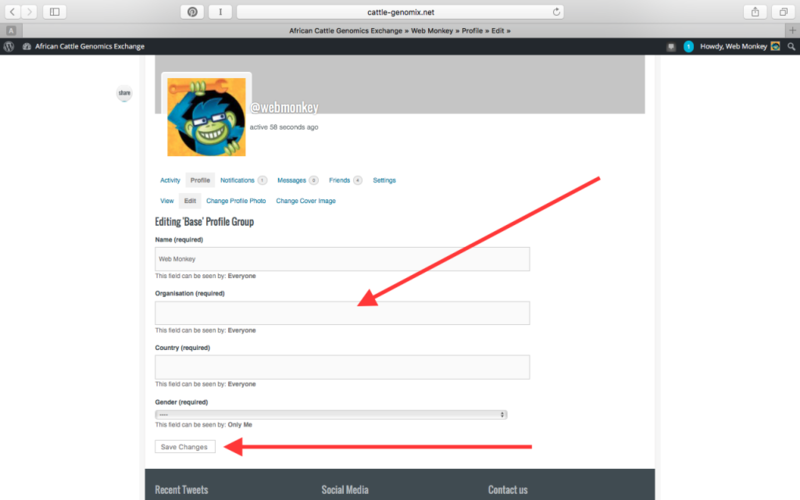 Having a profile means other users can recognize you when you leave a reply or like a comment. Please keep it up to date and all the fields filled. To edit your profile simply click on your name in the top right corner. 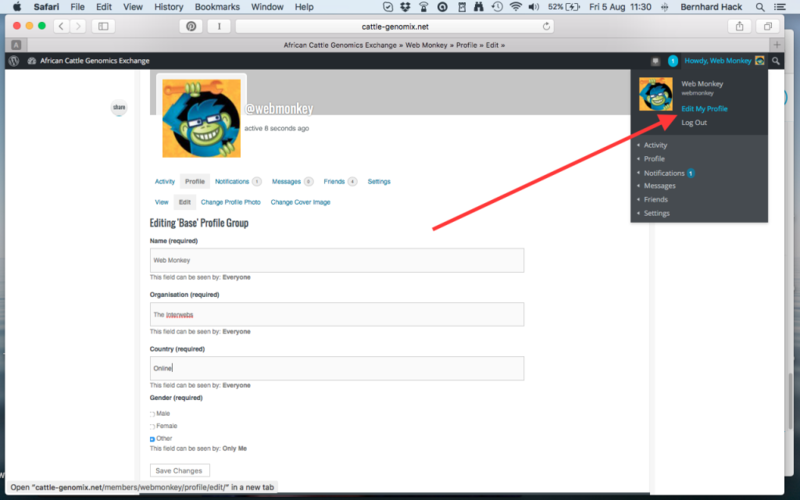 Fill in any missing fields and make sure to click ‘Save Changes’ when you are finished. Done! 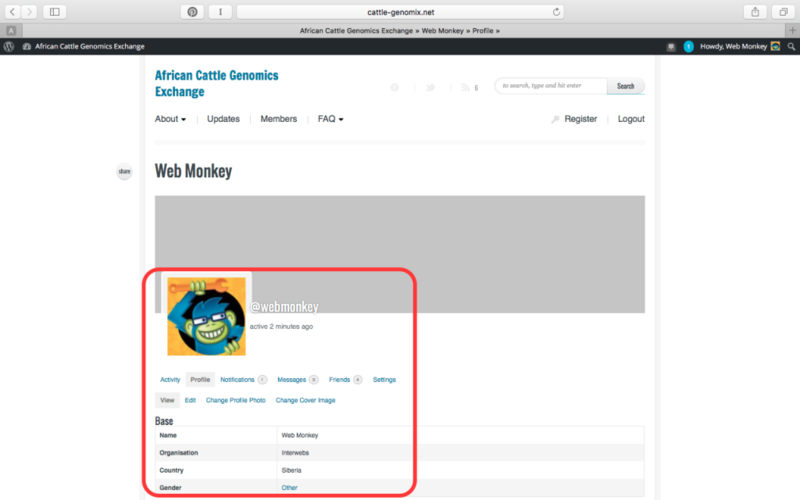 Now click on ‘View’ to see your updated public profile.